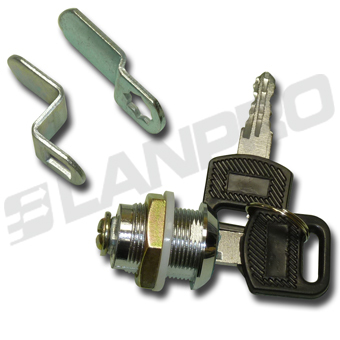 LanPro carries a wide line of tie wraps and shrinkable tubing. In the tie-wraps from self-locking to finger releasable in various styles, strengths, colors and lengths to suit the application and give the users maximum flexibility in their installations and in the shrinkable tubing a variety of sizes and colors. 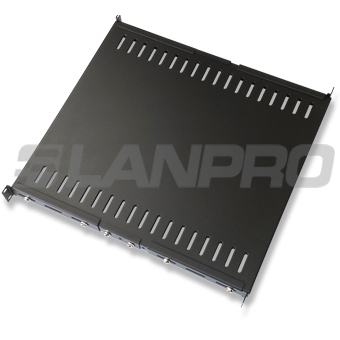 Our vertical mounted cable management duct with cover provides the solution so there are no loose or stressed cables between the different equipment units mounted in a 7000 series NetworkRack cabinet. 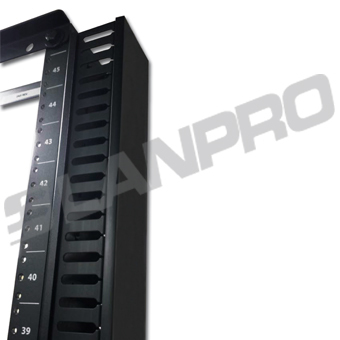 Helps eliminates cable stresses and organizes them when mounted on Dual or Quadruple post OpenRacks. 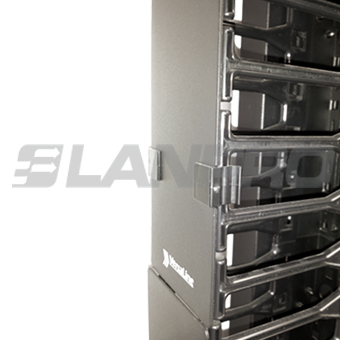 Versaline High Density Rack/Wall mountable Vertical Cable Trays with Snap-On Mounting and Solid Snap-On Cover in Black Color and several capacities. 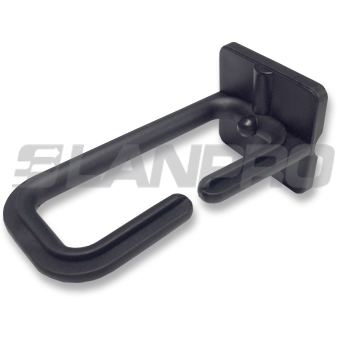 Robust cable hoop for easy attachment: “ONE SCREW / FAST SETUP” is LanPro’s slogan for this accessory. 19" Versaline Shelve adjustable from 521 mm to 1004 mm depth for Cabinet, ServerRack, 4 Post OR (open rack) systems or Wall Mount Cabinets. 100 lb (45.36 Kg) capacity. 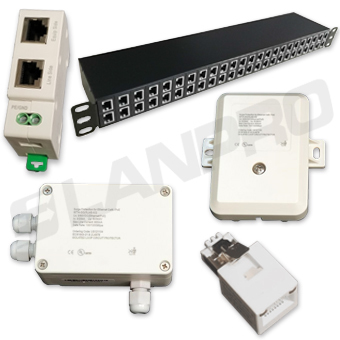 RJ45 Series surge protective devices are applied to surge protection for data communication systems. 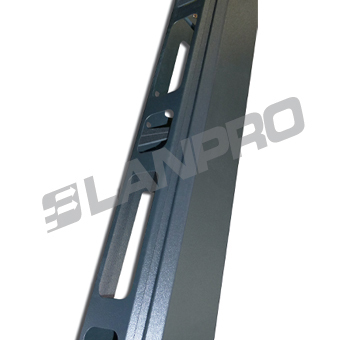 Side panels small round key lock type 01, for added security to our 7000 Series cabinets. 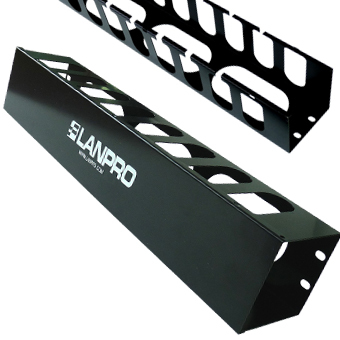 For those users who prefer or need to mount the shelves on to the front face of the 19" rails, this line will solve your problem. 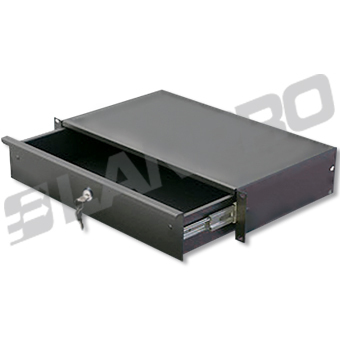 Rack or Cabinet mountable 19 inches 2 U Drawer with key-lock. For local storage of any kind of field usable patch cords, tools, local documentation, cables, etc. 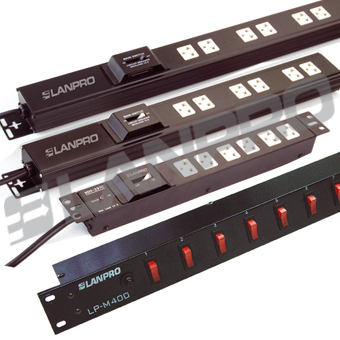 LanPro PDU's are a must when you need to distribute AC power inside your Cabinets, Racks and Enclosures. Available in sizes ranging from 3 to 12 Nema5-15 outlets, including both formats horizontal and vertical, or customized to your special needs, like those with other voltages or outlet styles. Heavy duty rubber made power cords facilitate installation. 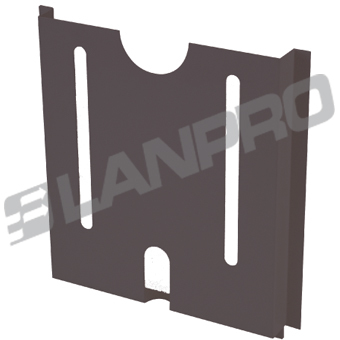 LanPro policies require that components used for manufacture of our PDU's are UL® listed and made to the best Quality Standards. Ensure alignment and level out your racks on uneven surfaces. 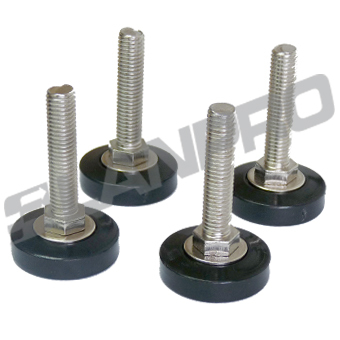 Our leveling feet have a minimum rating of 295 kg and are UL-94 HB compliant. 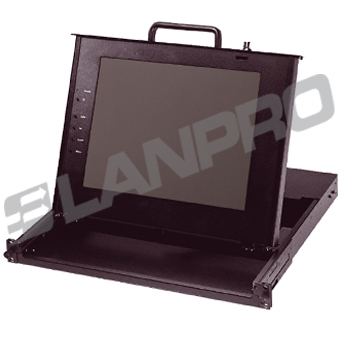 LanPro versatile KVM is a series of cost efficient 1U rackmountable KVM unit monitors and controls up to 16 computers (expandable to 128 computers). Assists in efficient management of valuable space. 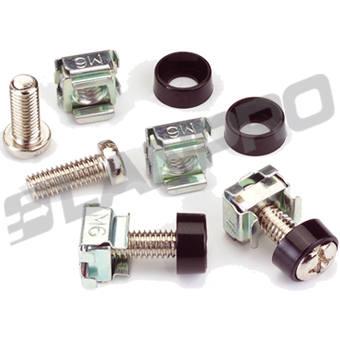 Useful set of 50 M6 high quality caged nuts, plastic cup washers with matching screw and handy caged nut installation/removal tool. 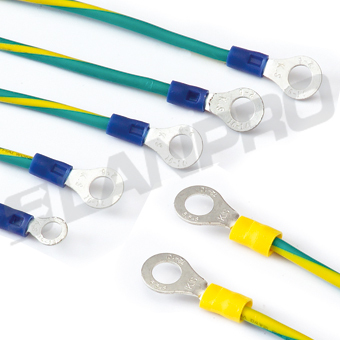 Ensures ground continuity between all parts of the rack and Installation site ground point, wires are 10 AWG and UL rated. 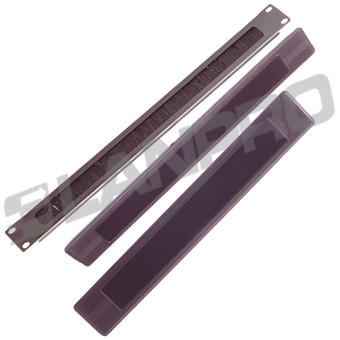 For supplemental air flow, we can provide two or three way fan trays. 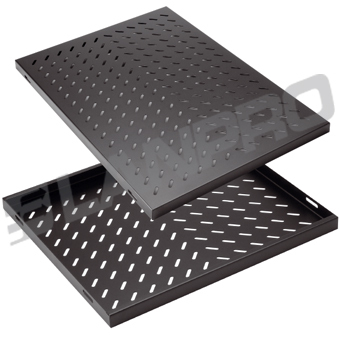 Fan trays can be purchased with or without fans. Convenient and elegant compartment for storing documents or disks. 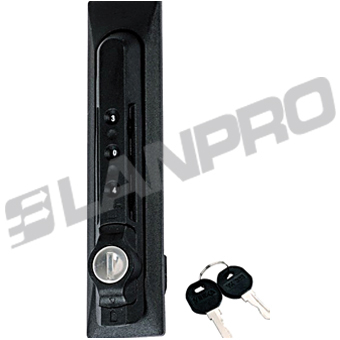 LanPro Manufactures several models of combination Locks for the 7000 Series Cabinets, and will be adding more in the future based on the customer requirements and convenience. 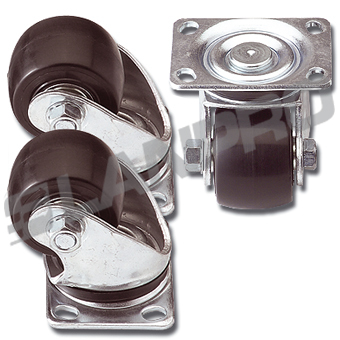 Real heavy duty casters tested to 250 kg dynamic load. Rated to UL-94 HB. 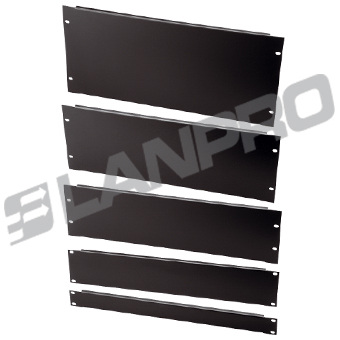 Our 19" mounted cable panels provides the solution to those loose cables in the front of your rack. Sturdy heavy grade steel hoops which can easily be installed in a variety of locations offers a flexible and cost effective cable management system. 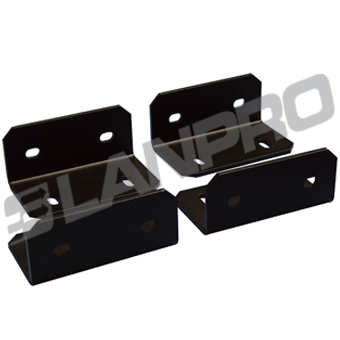 Available in steel or plastic, these plates cover cable entry slots in the roof and plinth. 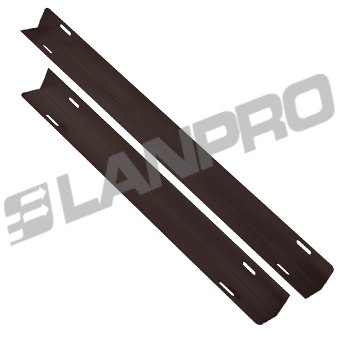 When additional support is needed for heavy loads, our support rails provide a suitable option. 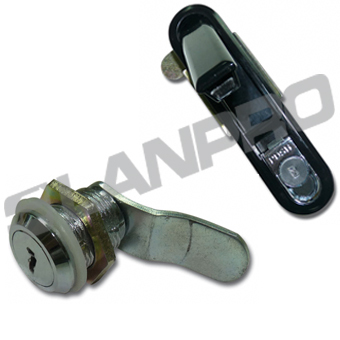 The high quality front door lock mechanism of the 7000 Series of Floor Cabinets is used to secure the access to the cabinet and protect the equipment located inside from unauthorized personnel reach. 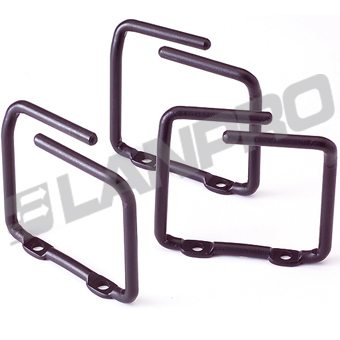 Secure your rack in position with our bolt down solution L shaped brackets. Attach to the front and rear sides of the plinth then into the floor. A frequently over looked component in air flow management, blind, blank or filler panels allow you to close up unused U space. 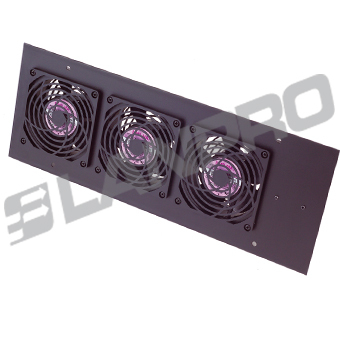 This forces incoming cool air to pass through active components with pull fans already installed in your cabinet.